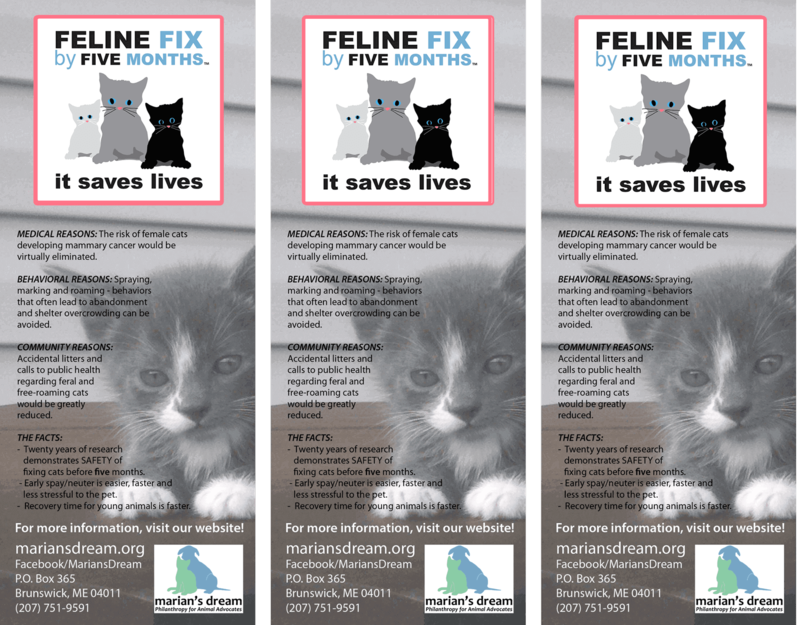 In January 2016, a task force was convened by Marian’s Dream at the North American Veterinary Conference in Orlando to evaluate the recommended age for spaying/neutering cats. The outcome of this meeting was a consensus document outlining best practices regarding feline spay/neuter. Over the following 18 months, the boards of all the major national veterinary organizations endorsed the practice of spaying or neutering felines by five months. The organizations are: The American Veterinary Medical Association, American Animal Hospital Association, American Association of Feline Practitioners, The Catalyst Council and the Association of Shelter Veterinarians along with the Winn Feline Foundation, WebMD, The Cat Fanciers’ Association and The International Cat Association. Dr. Kirk Breuninger was at the Task Force Table, and presented his research to the group. This completed Phase I of FFF. Our time frame for Phase II is also eighteen months. Our objective for this phase is to ensure that all veterinarians in private practice and cat owners know of this new development. We also aim for participation from at least 30% of veterinary population for juvenile feline spay/neuter. This campaign has the potential to change things in a significant way for cats. First, far more will be kept in their homes, second, there will be far fewer cases of mammary gland cancers and third, large numbers of unplanned, unwanted litters of kittens will not be born. Shelters will no longer need to euthanize these unexpected kittens, and the number of homes available will come into balance with the number of available felines.